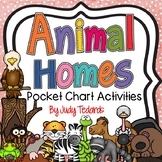 Animal Homes: Matching cards 15 Animal picture cards on three charts 15 Animal homes cards Instructions: Cut and separate and laminate the two sheets with animals to make four small charts. 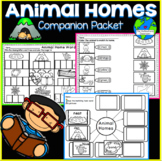 Cut, separate and laminate the 15 animal homes pictures to use on the charts. 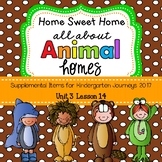 This file has 24 animals and the names of their homes. 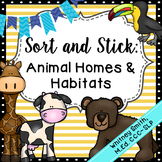 You may print and cut them in pairs and use as flash cards or individual and have your students match the animal and it's home. 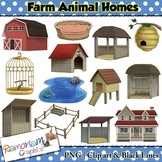 All images were obtained from copyright free websites. 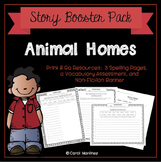 This is a comprehension and vocabulary activity for the story Animal Homes, a third grade Treasures story. 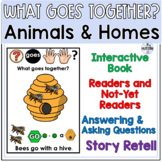 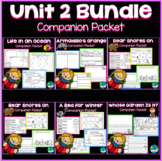 The comprehension is great to use while students are following along and the vocabulary activity is a great way for students to apply their words to real life.